Crabapple Community was founded in 1975 and moved here to Berrington Hall (a rambling, slightly eccentric, Georgian rectory built in 1805) two years later. We are situated 5 miles south-east of Shrewsbury and surrounded on all sides by farmland. 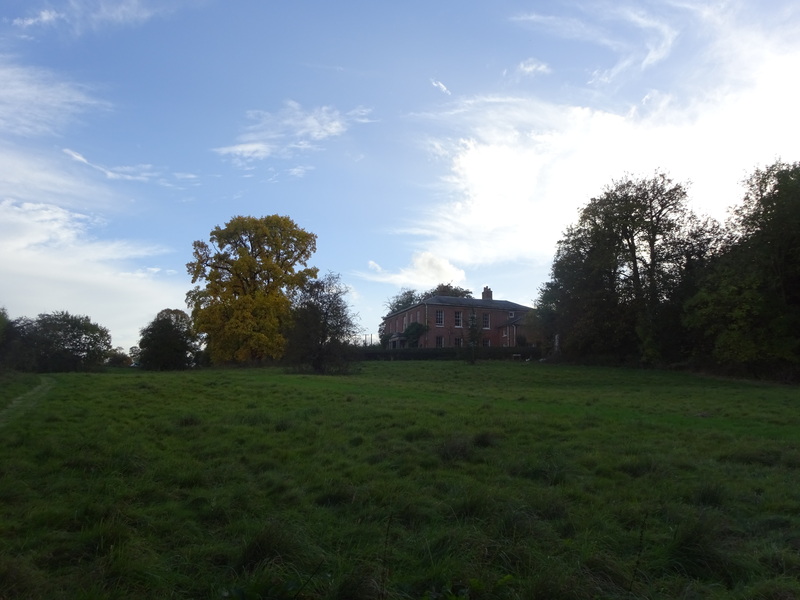 The house is set in approx 20 acres of woodland, meadows and growing areas. We have a 2 acre walled fruit and vegetable garden, a community-supported market garden, several polytunnels, an orchard, a willow plantation, herb and flower gardens plus 2 large camping fields. There’s also numerous nooks and crannies! We aim to live as sustainably as we can and to be self sufficient in produce for at least some of the year. We grow everything organically and within this broad framework, we have a diversity of approaches – some of us drawing inspiration from permaculture, others experimenting with a veganic approach etc. Most of the woodland was planted by the community over the last couple of decades. 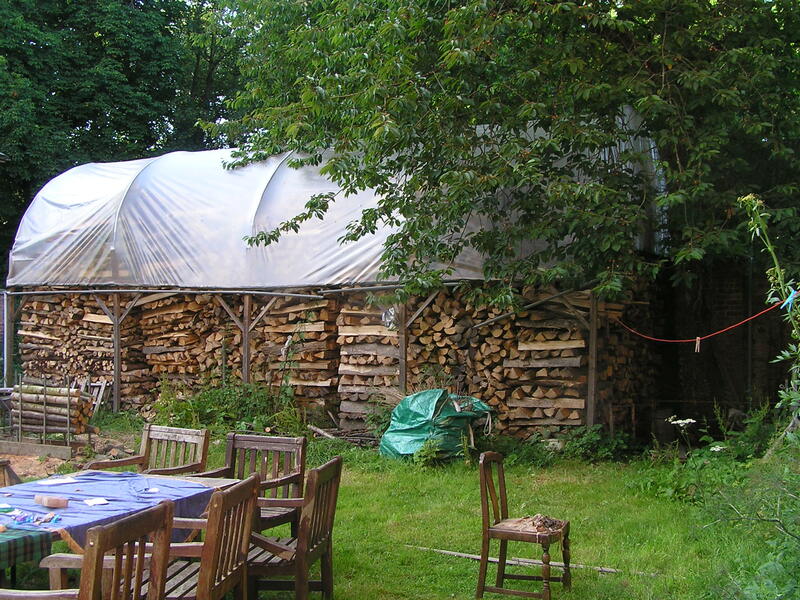 We have a huge (120kW) log-boiler and central heating system (installed 2010) which we use for heating and hot water for about 5 months a year (usually Nov – March). The rest of the year our ‘Stanley’ cooking range provides our hot water, although we have just installed solar thermal to supplement this. We also have a 4kW photovoltaic array (installed 2012). We are either self-employed, retired, or have part time jobs outside the community – our work areas include gardening, tree seed collection, woodland education, growing and selling salad to local restaurants, adult education, odd-jobbing, refuge work… All of us share a deep love and enjoyment of the natural world and we try to reflect this in our various activities. Between us, we have experience in conservation work, wildlife gardening, woodland management, environmental education, forest schools and a multitude of arts and crafts. As a community we aspire to create a harmonious and supportive environment for those of us who live here, and those who come to visit. The community is constituted as a fully mutual housing co-op. You don’t need capital to join – we are tenants and each pay rent for our own private room and access to shared facilities in the house. We also pay a weekly charge for housekeeping which covers food and other bills. We share a vegetarian/vegan meal (almost) every evening. There’s a separate kitchen for those wanting occasional meat/fish meals or personal meals. We aim to be part of the wider community through our community-supported market garden, by using the house and grounds as a venue for groups and courses (eg permaculture, community arts activities) and by hosting gatherings in our camping fields – including national environmental/peace campaign camps with up to 200 campers. Also, some of us are involved with Transition Town/Incredible Edible Shrewsbury and the Shropshire Feminist Network. We welcome woofers on a regular basis – starting with an initial visit of 1 to 2 weeks. Over the next couple of years, we’re hoping to renovate some outbuildings to create extra residential space to accommodate more people. So watch this space!